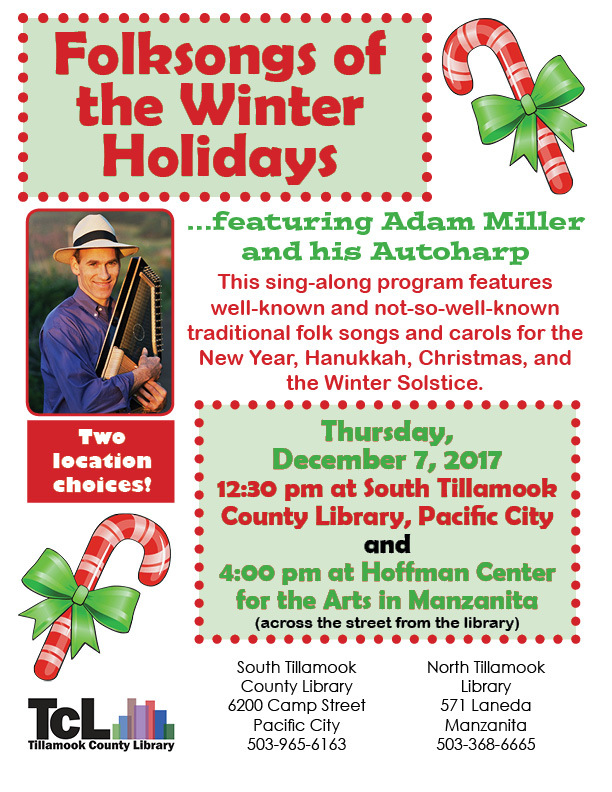 Adam Miller, an internationally regarded autoharpist and an Oregon coast resident, is presenting a program of “Folksongs of the Winter Holidays” at public libraries throughout the west coast, and Manzanita is one of the lucky locations where Miller will perform. His free to the public program will begin at 4:00 pm on December 7. Miller’s sing-along program features well-known and not-so-well-known traditional folk songs and carols for New Year’s, Hanukkah, Christmas, and the Winter Solstice. The Hoffman Center for the Arts will host the program in partnership with the North Tillamook Library. A renowned American folksinger and natural-born storyteller, Miller travels 70,000 miles a year and has performed in concert halls from the Everglades to the Arctic Circle. Check out our calendar for other upcoming programs at the library. The board of the Friends of North Tillamook Library conducted end of year business on November 18 and prepared for the organization’s annual meeting that will be held on January 20, 2018 from 3 to 5 PM at the Library. The board is recommending a balanced 2018 Budget that includes funding necessary to fulfill its ongoing responsibilities for building operation and maintenance. The proposed 2018 budget also includes initial funding for demolition of the existing patio wall and benches that are in a deteriorating condition, expansion of the patio space, installation of a pergola, new pavers and replacement of the patio wall. Several recommended revisions and additions to the board’s Policies and Procedures Manual were also approved. The board’s 2018 Scorecard was also approved. The Scorecard is designed to keep the board focused on the tasks required to meet the organization’s 2016 to 2020 Strategic Goals. Sara Charlton, the Tillamook County Library Director, commented on the mutual self-evaluation involving the two organizations. 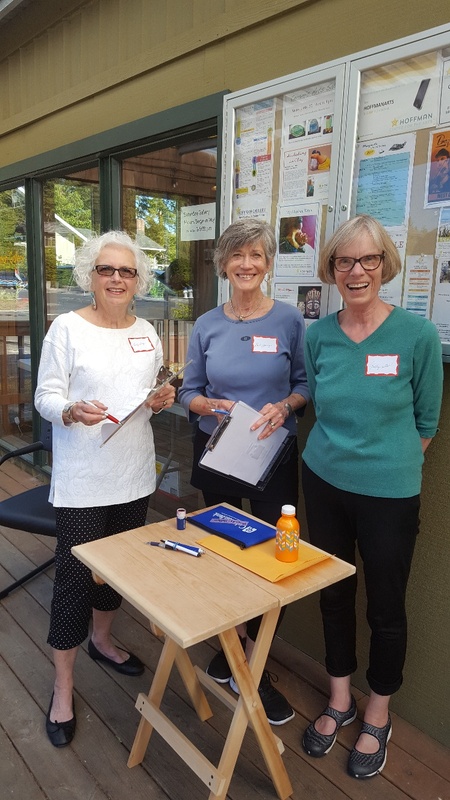 The Friends organization remains committed to the continued strengthening of its partnership with the Tillamook County Library, as well as expanded local collaborations to bring high quality programs to north Tillamook County. It is worth noting that the Friends organization enjoys a rare public-private partnership with the county library. 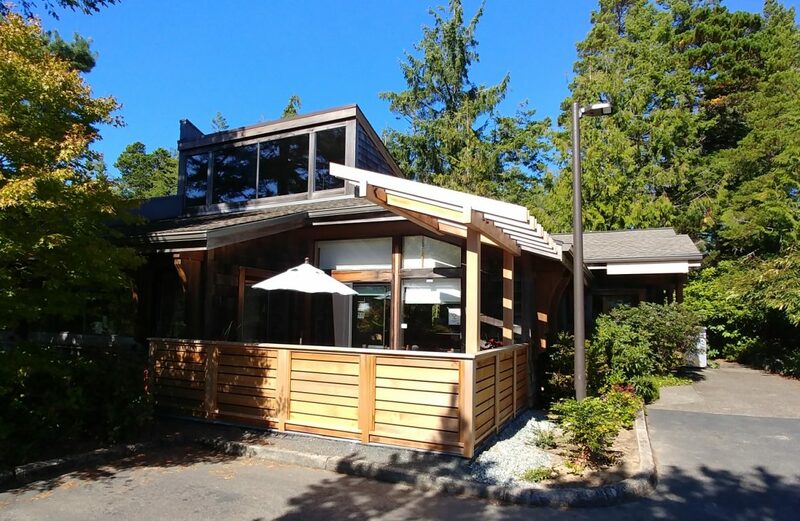 The Friends own and maintain the 30-year old library building in Manzanita, while the county library system provides staffing and library materials. The collaboration permits the continued operation of an up to date library in the north county area. The Annual Meeting of Library Friends will occur from 3 to 5 PM on January 20, 2018 at the Library. Friends in attendance will have the opportunity to vote for a strong slate of officers and directors, as well as make nominations from the floor for board members to serve in 2018. Please plan to join us for an informative meeting, a chance to meet current and new board members and enjoy light refreshments following the meeting. Early in December – weather cooperating the work could take place on December 7, 2017 – the existing library patio structure will demolished, a shrub removed and a boulder repositioned in preparation for the replacement of the existing patio. Lee Hiltenbrand, chair of the board’s Maintenance Committee, is managing the project and will do all that can be done to minimize disruption for patrons. The Library will remain open during the patio replacement project, but there may be some slight inconvenience regarding parking in the library lot. Thanks in advance for your patience. 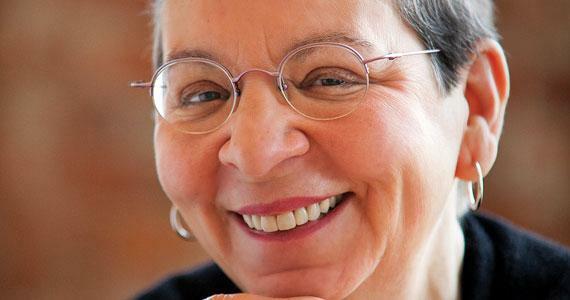 Nancy Pearl, “America’s Librarian,” has accepted a joint invitation from the Hoffman Center for the Arts – Manzanita Writers’ Series and the North Tillamook Library Friends to appear at an event on October 20, 2018. Pearl is a book lover’s favorite thanks to her best selling books about books and reading and her regular appearances on National Public Radio. She is a librarian in the Seattle Public Library system. Details for her appearance are being finalized and more information will be available in the coming weeks. Preliminary plans call for a 7:00 pm program in the auditorium at NCRD. Mark your calendar! The New York Times has produced its annual list of notable books. You can find many of these at your library. Happy reading. See you at the library. Charitably inclined people can completely avoid taxation on their IRA required minimum distributions (any amount up to $100,000) simply by having their IRA custodian transfer the funds directly to North Tillamook Library Board or other qualified charitable organizations. Anyone older than 70 ½ can take advantage of this opportunity. All you need do is instruct your IRA custodian to issue a check payable to North Tillamook Library Board and direct the custodian to mail the check directly to North Tillamook Library Board no later than December 31. For more information, contact Steve Brier at ssbrier@gmail.com or 503.349.5500. All inquiries are strictly confidential. 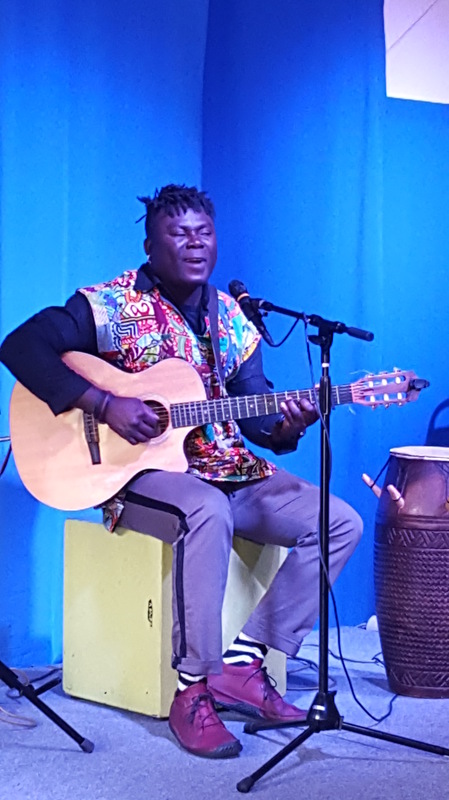 Okaidja Afroso, a singer songwriter from Ghana, West Africa was greeted by an enthusiastic audience on Saturday, October 7, 2017 at the Hoffman Center for the Arts. Mr. Afroso was featured at a well-attended Library sponsored program hosted by the Hoffman Center for the Arts. 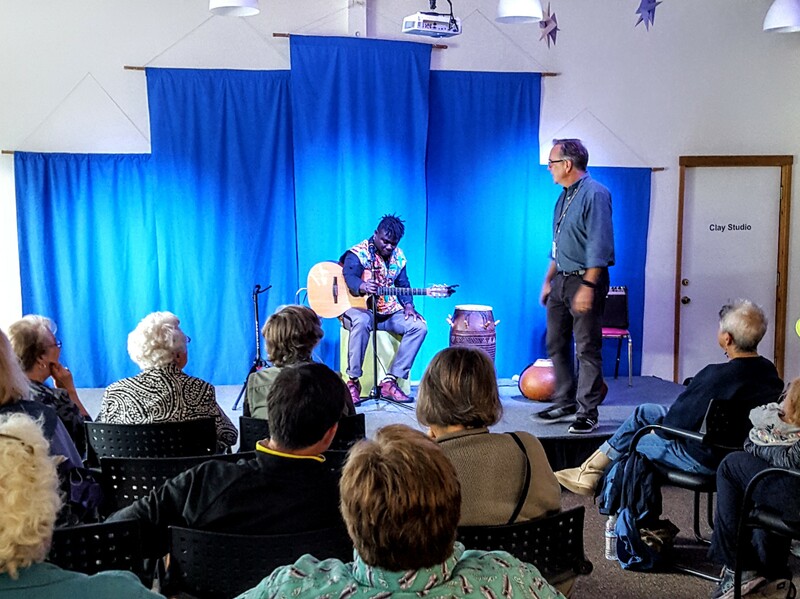 At least 34 people attended and enjoyed an hour of beautiful guitar music and percussion music on native Ghanaian instruments, including a beautifully carved skin drum, two different gourds and a box-style instrument that doubled as a chair. Mr. Afroso had attendees up dancing, engaged the children in attendance and answered questions from the audience. It was interesting to learn that Ghana is the size of Oregon, is a coastal country with 49 languages and that fishing is an important industry. Please watch for more Library sponsored programs. Check out the calendar on our website for upcoming events. There are many varied programs being offered throughout the fall. Our Friends Communication Committee has been enhanced with several new volunteer members. Joining the committee recently were Patty Reksten, a former journalist with the Portland Oregonian who has taught journalism at the college level, Lynne Gross, who has an extensive background in marketing, and Linda Petersen, a skilled photographer whose work has been featured in previous blogs. Thanks to our outstanding volunteers! The committee, chaired by board member Marc Johnson, also benefits from the help of our official statistician Mary Ruef and Dan Haag who helps out with program promotion. 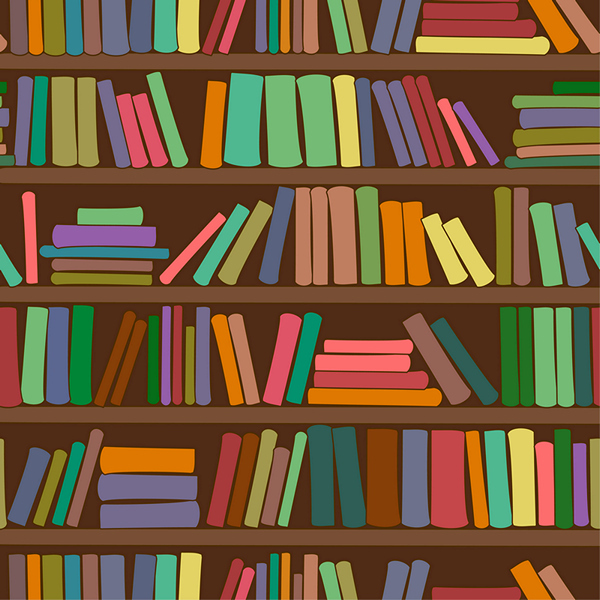 Arlene Weismantel, the senior associate librarian at Michigan State University, recently offered a fascinating account of how an American philanthropist remade the nation’s public libraries. Weismantel wrote: “[Industrialist Andrew] Carnegie built 2,509 libraries in the late 19th and early 20th centuries, 1,679 of them across the U.S. in nearly every state. All told, he spent US$55 million of his wealth on libraries. Adjusted for inflation, that would top $1.3 billion today. 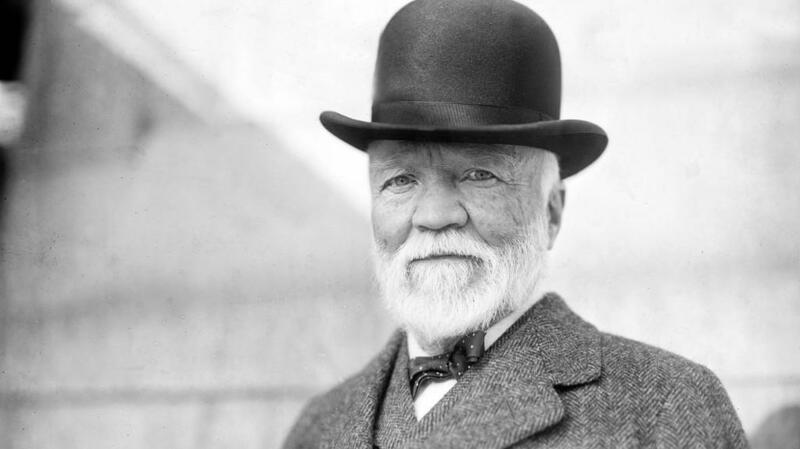 Read the full account of Carnegie’s amazing public library legacy. Ocean Bottom Country Blues Band, featuring Carl Wilson and Tillamook County’s library director Sara Charlton, entertain the crowd at the 30th anniversary celebration of the North Tillamook Library in Manzanita on July 8. Hosted by the Friends of the Library, the celebration featured family music fun with Portland singer and musician Mo Phillips and Ocean Bottom Country Blues with Tillamook County’s library director Sara Charlton. Following a welcome by Friends president Madeline Olson, longtime Friend Patty Went spoke about the history of the library and the formation of the Friends of the Library. Next up was noted Oregon author and part-time Manzanita resident Lauren Kessler, who, as a special guest, read from her essays on the the importance of libraries and the special role they continue to play in her work. Longtime ‘Friend of the Library’ Carol Povey, former Manzanita city councilor Leila Salmon, and Friends president Madeline Olson are all smiles during the celebration. Noted author and part-time Manzanita resident Lauren Kessler shared her thoughts on the importance of libraries as she reads from her essays. No celebration is complete without cake and there was plenty of it as the North Tillamook Library anniversary celebration ended on a tasty note. It’s not too soon to begin donating your gently-used books for next year’s 2018 library book sale. Books must be in good condition to sell. Sets of books, e.g. Time-Life series and encyclopedias, do not sell and must be taken to Goodwill. Dictionaries, reference books, text books, diet, health and fitness books are not great sellers either. Best bet is to take those to Goodwill as well and save library volunteers a trip. For those books that are not sold during the sale they are donated to a local Oregon family that sorts and passes them on to groups that appreciate books and cannot afford to purchase them. The North Tillamook Library Friends relies on the donation of books for the success of its annual sale. Funds raised help support the maintenance of the library. Many thanks for continuing to support your library by donating gently-used books. Revenue for the month of June was $2,341, thanks to a strong response to the Leave a Legacy initiative, which raised $1,885 in immediate donations. Routine donations and dues contributed an additional $455. Expenses totaled $2,401 and were much higher than anticipated due to a $1,000 unbudgeted retainer paid to the architect preparing the design for the refurbished patio. Consequently, a modest loss of $60 was reported. Routine expenses tracked well to the budget. Revenue for the first six months came to $29,881 vs. a forecast of $21,127, with all budgeted revenue categories exceeding projections including membership dues and magazine sales. A $10,000 restricted donation from StanCorp Financial in honor of past NTLB president Kay Stepp put us over the top, while unrestricted donations of $5,192 far surpassed the $3,000 amount budgeted. The restricted StanCorp Financial donation is directed to the renovation of the patio. Expenses of $20,191 were slightly under the $20,316 amount forecast, leading to an excess of revenue over expenses of $9,690 vs. a projected excess of $811. Something fun here: How many books will you read in your lifetime? Writer Emily Temple has actually calculated the answer to that question. You can estimate for yourself here. To mark the 30th anniversary of the North Tillamook Library in Manzanita the library’s Friends group is hosting a celebration on July 8, 2017 at the Hoffman Gardens adjacent to the library at 571 Laneda Avenue. The celebration will include a children’s story time, family music fun with Portland singer and musician Mo Phillips and the Ocean Bottom Country Blues Band featuring Tillamook County’s library director Sara Charlton, a presentation on the library’s history by Patty Went and an appearance by special guest Lauren Kessler, the noted Oregon author. The North Tillamook Library operates with a unique public-private partnership. The Friends organization owns and maintains the library building, while the county library supplies all library materials and the professional library staff. 3:00 – 4:00 pm: Music, socializing – and cake! The public is invited to attend this free event and consider becoming a Friend of the Library. 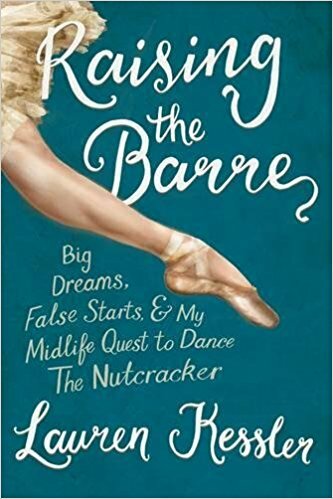 A highlight of the Library’s 30th anniversary celebration will be an appearance and talk by award-winning Oregon author Lauren Kessler. Kessler, a huge champion of libraries and a Friend of the North Tillamook Library, lives in Eugene and in anticipation of her July 8th visit to Manzanita generously agreed to answer a couple of questions. Q. Could you tell us a bit about what you are working on these days? “My work-in-progress is a book entitled A Grip of Time based on my (ongoing) two-year experience leading a writers’ group for Lifers at Oregon State Penitentiary. It is an exploration of the life lived by those who have lived most of their lives behind bars, of what it means to live such a life, to attempt to craft a life of meaning in a meaningless place, to ‘do time without it doing you,’ as they say. Q. Obviously you are a big fan of libraries. Can you tell us a little about your affection for libraries? How did it begin? Q. How do libraries figure in your own research and writing? And do you have thoughts about the role libraries play in the life of a small community in a rural area like Tillamook County? “My work is a combination of immersion reportage, cultural anthropology and history. At every step of the way, I ‘report out’ from experience, hoping to bring depth and context to the subject. I have long depended on the resources in libraries – digital and bricks and mortar – to help me in this. I have also been …the word is ‘blessed’ and I use it advisedly … to know and work with extraordinary librarians who have not only gone out of their way to help but have sometimes “adopted” my projects and taken them into their hearts. 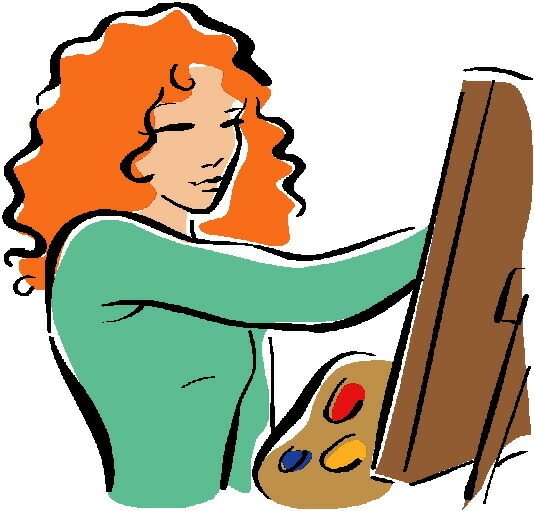 Reinvigorate your creative life, whether you are a painter, writer, photographer, or an artist of any kind, the Creative Boosting Session will give you the tools and inspiration to give your artistic side a boost! The workshop will be held Thursday, July 6, from 3 to 5 p.m. at the North Tillamook Library in Manzanita. Mark your calendar. Saturday, July 8, at 12 noon, it’s Music with Mo Phillips for singing and dancing. Friday, July 14, at 3 p.m., Penny’s Puppets visits the library. Friday, July 21, at 3 p.m., catch Juggling with Curtis Carlyle. Friday, Aug. 4, at 3 p.m., summertime programs come to a close on with the ever-popular Bug Chicks. Thanks to the work of book sale coordinator, Ann Morgan; book sorting room coordinator and co-manager of Hoffman Center site, Tela Skinner; book moving man, Michael Maginnis; volunteer ‘wrangler’ extraordinaire Judi Hanson; Victoria Holt, Pine Grove site manager (stepping in for Peggy Biskar) and more than 100 volunteers, the North Tillamook Library Friends had the most successful book sale in at least three years. The sale raised $8,443.78 to support the maintenance of the building and grounds of our Library. As many of you know the library building and grounds are owned and maintained by the nonprofit Friends. The book sale is its major fund raiser each year. The book sale’s Friday evening “Members only” pre-sale netted $2,745.25. 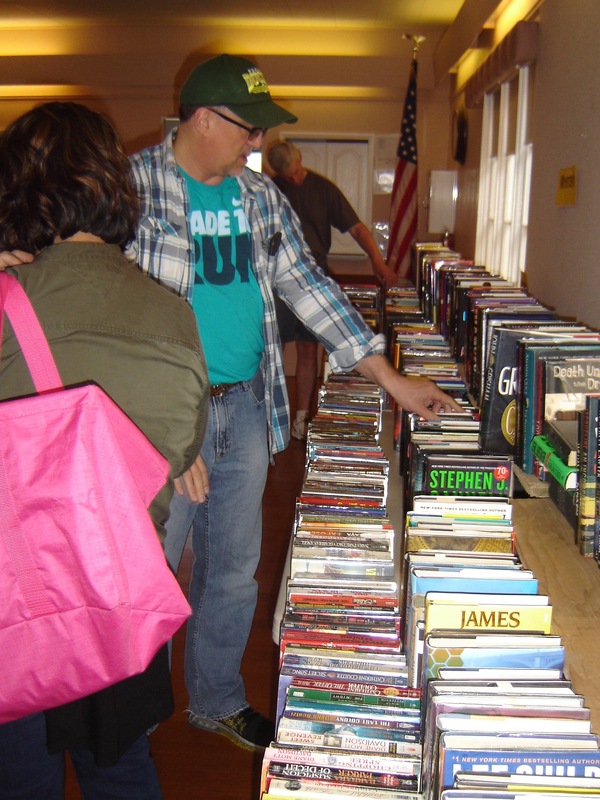 “Book sale results this year are heartening for several reasons: we exceeded our budget goal of $7,000, and three years of declining revenue from the event was ended,” treasurer Tony Johnson reported. In addition, a grand total of 40 people became new members. Reinvigorate your creative life. 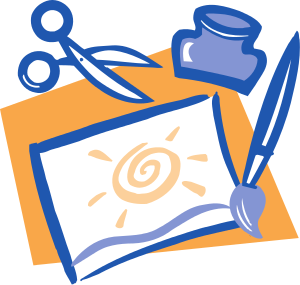 Whether you are a painter, writer, photographer, or an artist of any kind, the Creative Boosting Session will give you the tools and inspiration to give your artistic side a boost! A series of fun and educational events for children (and adults too) get underway with a visit to the library by the ever-popular Reptile Man on Friday, June 23, at 3 p.m.
On Friday, June 30, ventriloquist Vicki Gasko Green will be on hand at the library. The program gets underway at 3 p.m.
On Saturday, July 8, at 12 noon, it’s Music with Mo Phillips for singing and dancing. Penny’s Puppets visits Friday, July 14, at 3 p.m., followed by Juggling with Curtis Carlyle a week later, July 21, also at 3:00. Summertime program come to a close Friday, Aug. 4, at 3 p.m. with The Bug Chicks. Now that the book sale is behind us and we’re into the month of June, we’re shifting focus to the July 8 special event – our Library’s 30th Anniversary Celebration. 1:00 – 2:00 pm: Music by The Ocean Bottom Country Blues Band featuring Tillamook County head librarian Sara Charlton. Please plan to attend the celebration and invite others to consider becoming a Friend of the Library. Board member Gail Young is coordinating the anniversary celebration. She can be reached at gailmyoung@me.com. A reminder to check the Friends website for other events scheduled at the North Tillamook Library, including upcoming Saturday Magazine Sales on July 1, August and September 2. 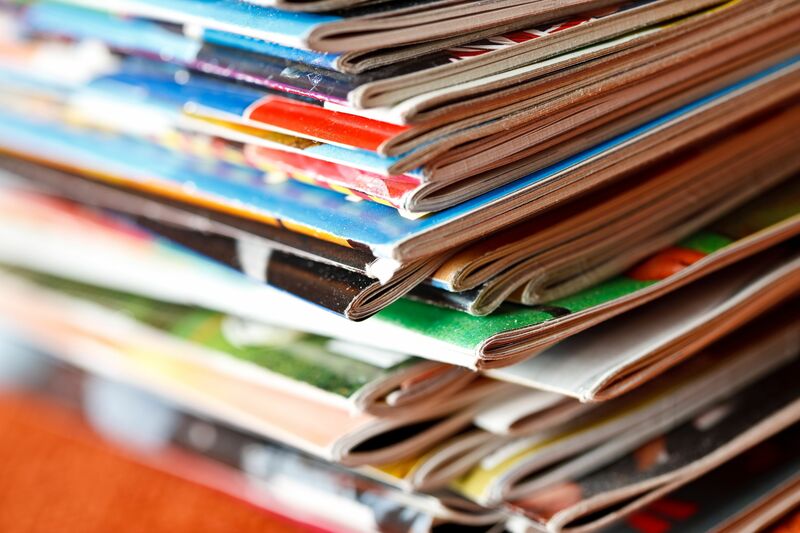 Magazine sales take place from 10:30 am to 1:00 pm at the Library. If you are reading this it is probably a safe bet you are a regular reader of books and a frequent visitor to libraries, but not all Americans are readers. The Pew Research Center has some interesting insights into who doesn’t read books. Here is a link to a summary of the Center’s research. Thank you to all of the friends and other citizens who voted yes to keep our Libraries open in Tillamook County. 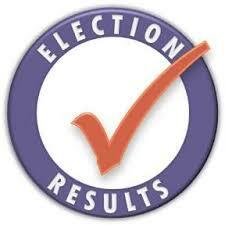 Thanks to these efforts the vote was very positive, greater than 62% yes vote by Wednesday morning, May 17. The vote will be certified in the next week or two. Our Friends supported the levy by making phone calls, posting Library Yes signs, writing letters to the editors and voting. Thank you for all of your efforts on behalf of our Libraries. An annual Memorial Day tradition plays out May 26 and 27 in Manzanita, as the North Tillamook Library hosts its book sale featuring thousands of donated books. It’s a sale that has become so big in recent years that it is held at two locations: The Hoffman Center for the Arts (549 Laneda Ave.) and Pine Grove Community House three blocks away (225 Laneda). The sale begins Friday evening, May 26, from 5 to 7 p.m. in which members of the Friends of the Library get first crack at this year’s selection. If you are not a member, have no fears, you can join the evening of the presale – $10 for an individual membership and $15 for a family. On Saturday, May 27, from 9 a.m. to 4 p.m., the general public is invited to comb the shelves and tables for good deals on “gently used” books. The books at the Hoffman Center, across form the library, are non-fiction and include cookbooks, biographies, humor, nature, gardening, history, religion, self-help, reference, general interest and coffee table books. Just down the street one can find fiction books at the Pine Grove Community House – novels, mysteries, science fiction, poetry, romances and children’s books. 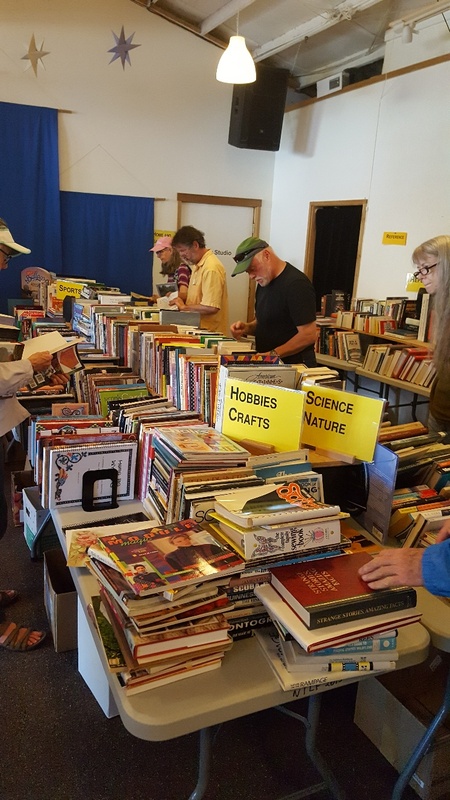 The book sale, held every year Memorial Day weekend, is the major fundraiser for the North Tillamook County Friends for maintenance of the North Tillamook Library in Manzanita. Over 100 volunteers from Wheeler, Nehalem and Manzanita volunteer to make the book sale a success. Income for the month, reported by NTLF treasurer Tony Johnson, was $1,825 thanks to a $1,250 donation from Living Room Realty. During the past twelve months, the company’s agents have contributed over $5,000 to the Library. We are honored that the North Tillamook Library has been the beneficiary of this program. 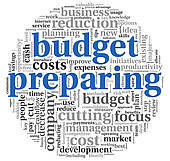 The expenses, $1,143, tracked well to budget, leading to net income of $682. The reserve funds, invested through Wells Fargo, continue to perform well. The reserves are critical to meeting our responsibility to ensure that our 30-year old library building and grounds are maintained in top notch condition. 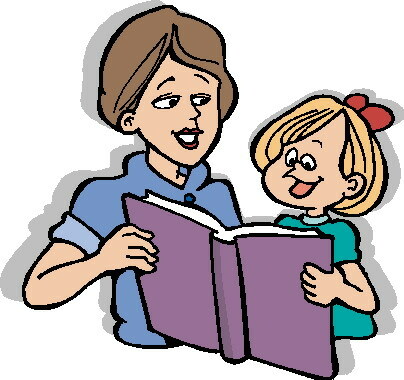 Patty Went loves libraries, passionately loves them, as perhaps only a long-time teacher can. “If you can’t read you can’t get along in life,” Patty says, and she and her husband Burt “have always been involved in libraries,” including in their native Ohio prior to moving permanently to Manzanita. Patty Went has meticulously recorded the history of the long process involved in the creation of the North Tillamook Library. She is the “historical memory” for the library that will celebrates its 30th anniversary in July with a variety of events. Patty will have a key role in the festivities when she will present a talk on the library’s intriguing history, a story that confirms what is possible when a community pulls together to create a true community asset. 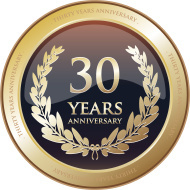 The 30th anniversary celebration will kick off at 11:00 am on July 8 with story time at the library followed by various music programs in the Hoffman Gardens. 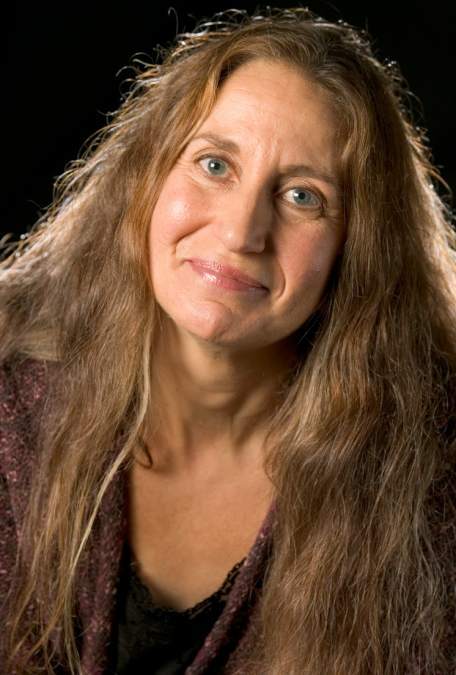 The history presentation is scheduled at 2:00 pm followed by a talk by acclaimed Oregon author Lauren Kessler who is a member of the Friends of the Library. Cake will be served to cap off the celebration. After exhaustive research three years ago, Patty Went pulled together the definitive history of the library. She combed old files, newspaper clips and conducted oral history interviews with, as she says, “everyone still alive” who had a role in the remarkable community effort that raised the money, bought the land and built the now nearly three decade old library building on Lanada Avenue in Manzanita. 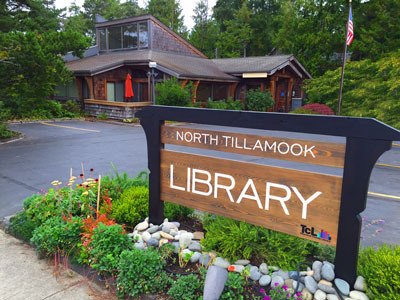 The North Tillamook Library represents a unique public-private partnership that has served a “community of learners” since 1987. The Friends of the Library own and maintain the building and grounds, while the Tillamook County library provides staff and library materials and programs. That partnership has endured thanks to both the commitment of the county library and remarkable support from dedicated citizens and library supporters in the Nehalem, Wheeler and Manzanita areas. The library enjoys the support of more than 300 active members who provide financial support for the building and grounds and chip in to support various library efforts, including the annual used book sale. Patty Went has observed this remarkable community commitment up close for more than twenty years. She remembers first visiting Manzanita years ago and driving down Lanada Avenue toward the beach and marveling at the library building and grounds. “We decided right there that any town that cares that much about a library is a town for us,” she says. Prior to the construction of the current library building a small library existed in Pine Grove Community Center, but growth eventually outpaced that locations capacity to meet the demands of the little city. Community activists then stepped forward to create the plan and funding to build the current facility. Within six months of becoming a part-time resident in the 1990s Patty was serving on the Friends of the Library board. She remembers a friend making “it quite clear she would have a job” as a community volunteer and eventually one of her jobs became documenting the library’s colorful history. Her research confirmed the existence of a deep community commitment to creating and sustaining the library. Establishing a first-rate library had became the mission of dozens of “community activists” in the 1980s, including volunteers like Ann Knipe and Mary Kay Eskridge who were among the early promoters of the concept. Volunteers Jim and Sandy Shields, for example, helped organize the effort to create the friend’s non-profit status and provided financial advice. Many others contributed money, time and passion. The effort to create an initial $60,000 reserve fund netted a grand total of $102 from an early pancake breakfast fundraiser. Patty notes that it took both great vision and a lot of work to create the fund that continues to provide financial resources to maintain the library building and grounds in top-notch shape. 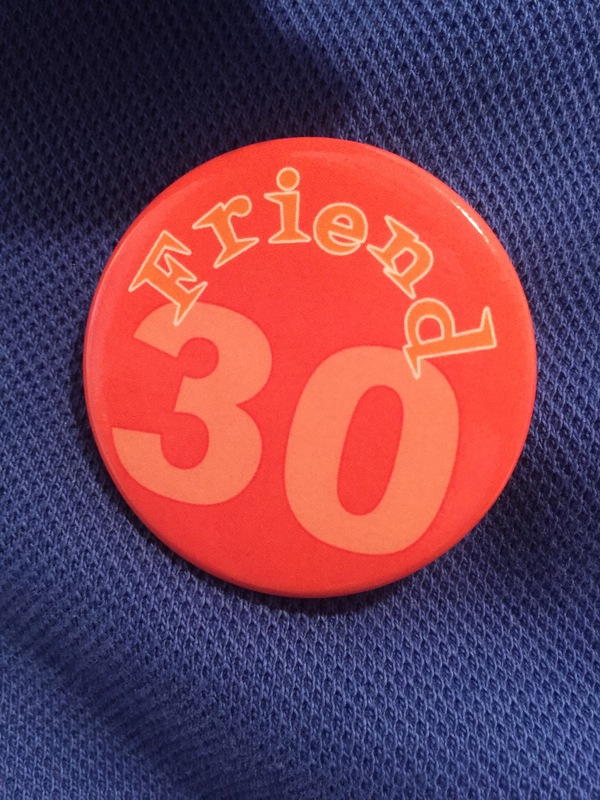 We will feature more news on the 30th anniversary celebration in future editions of the Friend’s blog. You can read Patty Went’s full history of the library here. Check out more upcoming events at the Library’s calendar.